T-800 COMPLETE CAB AND SLEEPER ASSY. 38" SLEEPER. CUMMINS WIRED. VERY NICE 2017 T880 CAB. SMALL DENT IN RH DOOR AT TOP. 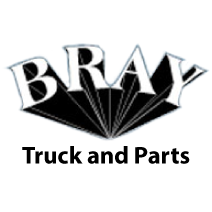 BRAKES: `AIR VERY NICE 2017 T880 CAB. SMALL DENT IN RH DOOR AT TOP. SLEEPER HAS BEEN REMOVED, CAN BE CONVERTED INTO A DAY CAB. BRAKES: AIR SLEEPER HAS BEEN REMOVED, CAN BE CONVERTED INTO A DAY CAB.